Getting more likes on your Instagram posts is essential for the overall appearance of your account. If you have 100K followers but only 10 likes on your posts, people will believe that you have bought fake followers. If you’re an influencer, your like rate can be what decides if brands want to work with you or not. In the early days of Instagram marketing – and social media marketing in general, most brands only looked at your follower amount, but now, more and more brands are realizing the importance of looking at engagement, because ultimately, it is the engagement that will determine the success of a marketing campaign to a very large extent. Just because an account has a low like-rate doesn’t mean the account has bought fake followers. It can mean that many of the followers have become inactive, and now that Instagram’s new algorithm has taken place, it might mean that some of the followers don’t get the posts in their feed, and will therefore not like them. However, just because you have a low engagement and few likes doesn’t mean you should give up. On Instagram, you should always work towards getting more likes from people who are genuinely interested in your posts, and that’s exactly what we’ll teach you in this article. How to get more likes on your Instagram posts. This is the quickest and easiest way of getting more likes and engagements on your posts. The maximum number of hashtags you can use is 30 so why not take advantage of it? Some studies claim that you get the highest engagement on your posts if you use 114 hashtags but it’s debatable whether that is true or not because that means your post only gets displayed on 11 hashtags instead of 30. And the more the better, right? Depending on what type of likes you want to receive, you want to use different tags. If you only want to receive the highest number of likes, hashtags that are used by bots and spammers will often lead to the highest number of likes, however, they will never lead to them following you or becoming interested in your page or brand. The hashtags that are most used by bots are hashtags that are very broad, and those which are most popular. Therefore, using a website to get the “top 30 hashtags” for your post might not be a good idea – at least not if you want to attract high-quality likes, potential customers, and lifelong supporters. When choosing hashtags to use, think about keywords relevant to your niche. 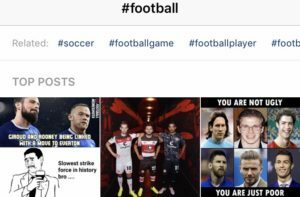 For example, if you sell footballs, using hashtags like #football #footballs #footballplayer will probably attract people who are interested in football, and ultimately, you’ll get more likes on your post. The great thing with Instagram hashtags is that it suggests relevant and similar hashtags based on the hashtag you’re searching for, you can get ideas on what tags to use. Kind of a no-brainer, but you can’t expect to get a lot of likes if you post bad content. This does not only concern the quality of the post itself but also how interesting your audience finds your post. Secondly, you need to take a moment to study how well your older posts did on your page so that you can take knowledge from that and improve your future posts. If you notice that a certain type of motive or photo get much more likes than your other posts, start posting more posts that are similar to the one generating the best results, and stop posting the type of content that gets the lowest amount of likes. A great way to get more likes on your posts is to like other people’s post. The best results will be achieved if you like people who share the same kind of content and share the same passions as you, because then they will be curious on your profile and check your posts out when they see that you have liked their post. A good method is to go into a hashtag relevant to your niche and like the pictures there. Quite quickly, you’ll be able to see that some of the people who you liked will like back, and some will even start following you. We explained how effective hashtags can be for likes, but there are some hashtags that might be more effective than others. Local hashtags are some of them. People are curious to see what is happening in their own city, so using hashtags for your city is a great way to get local people interested in your page and like your post. You, of course, want to display your post on all places possible, so don’t forget to also tag a location in your post. This will make more people find it and ultimately engage with it. People who find photos that have been taken near them are more likely to engage with them, so using broad locations such as “United States” is not always better in terms of engagement, even if it’s easy to believe that because you’ll obviously reach more people. You can tag up to 20 people in your post, so why not use it? The best is to tag people in your niche because these are most likely to engage with your content. 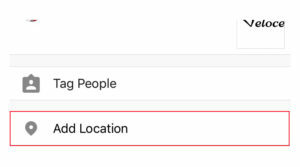 Not only will they get notified when you tag them in their post, become curious, and most likely engage with the post, but your post will also be displayed on their profile in the “tagged in” section, which gives your post even further reach.